Toyota Gazoo Racing is prepping the Toyota C-HR crossover, a recent concept car-turned reality, for the brutal and legendary Nürburgring 24-hour rally endurance race in the vanquished Reich. 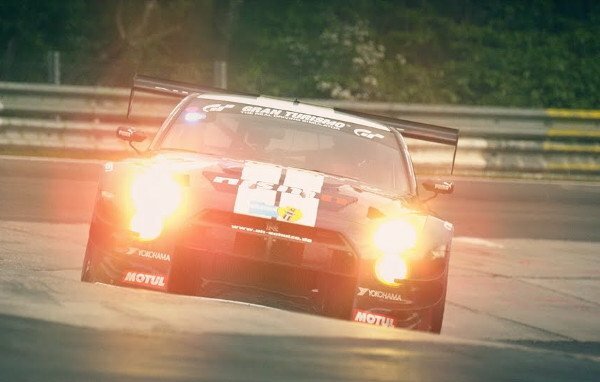 The race is named for the track, which is a 150,000-capacity motorsports complex located in the village of Nürburg, Rhineland-Palatinate, Germany. It features a Grand Prix race track built in 1984. The longer, 12.9-mile old North Loop track was built in the 1920s around the village and medieval castle of Nürburg in the Eifel mountains. The C-HR won’t be the only machines Gazoo Racing will run; there will be a Lexus RC as well for the May race, but the unveiling of the new and untried Toyota in March will be an event. The car remains a bit of a mystery, but if some of the early reviews are to be believed, the racer has a curious, if accidental look. One reviewer called a cross between a rally fighter and a puppy. “Really, I just want to toss a basketball down the street and watch it go bounding off in pursuit trying desperately to place it in its grill in order to return it to me,” wrote reviewer Kat Callahan. Of course, the styling of concept cars rarely if ever resemble the final product that finds itself out on the track in the real world, but some indicators point to a close resemblance. Toyota described it as “A bold new design language with an agile, engaging driving experience and a Hybrid power train.” Interesting. So maybe more of a hound. This year will mark a decade of Gazoo Racing’s competition in the infamous rally, and has over the years showed an interest in bringing in the stranger vehicles. © 2019 Mandatory, an Evolve MediaLLC company. All Rights Reserved.